The Canadian government announced on Tuesday it is barring senior Ukrainian officials from entering the country, in response to violent clashes between protesters and police in Kyiv. The Canadian government has announced it is barring senior Ukrainian officials from entering the country, in response to violent clashes between protesters and police in Kyiv. 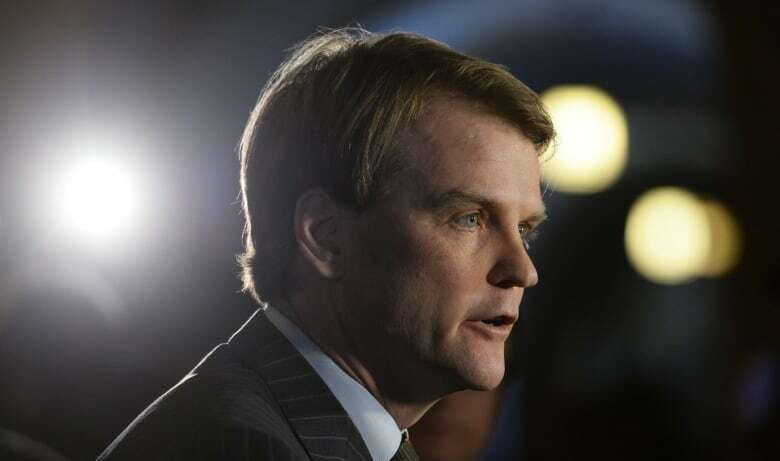 "Effective immediately, we will restrict entry to Canada for key Ukrainian government officials that have been responsible for the oppression and silencing of opposition voices," Citizenship and Immigration Minister Chris Alexander said Tuesday afternoon. Alexander said the government was compelled to take action following "utterly deplorable" and "recent actions by members of Ukraine's ruling elite in the face of popular and growing protests." "Canada continues to stand with the Ukrainian people as they defiantly and courageously speak out in support of freedom and democracy," Alexander said. Canada's decision comes as Ukraine's prime minister resigned Tuesday and the Ukrainian parliament voted to repeal its contentious anti-protest law. Alexander was accompanied by Foreign Affairs Minister John Baird who warned Ukraine of further sanctions. Baird said the Canadian government is monitoring the situation in Ukraine on an hour-by-hour basis. "This is not a final step for Canada, this is just another process in our engagement and support of freedom and prosperity in Ukraine." Baird said he had been in touch with Catherine Ashton, the European Union's representative responsible for foreign affairs and security policy, in the hour before Canada's announcement. He said he would also be in touch with U.S. officials. Liberal immigration critic John McCallum called today's move "meaningless." Instead, the Liberals are proposing the federal government freeze Ukrainian assets and fast-track the application of refugees from Ukraine to Canada. "Canada should send a strong message," McCallum told CBC News in a telephone interview. On Monday, members of parliament condemned the Ukrainian government for its actions following an emergency debate in the House of Commons.